Dr. Lee won consecutive gold medals in platform diving at the 1948 London and 1952 Helsinki Games. Dr. Sammy Lee in 2012. Dr. Sammy Lee, the first Asian American man to win an Olympic gold medal and the first American to win consecutive gold medals in platform diving, died of complications from pneumonia on Friday. He was 96. 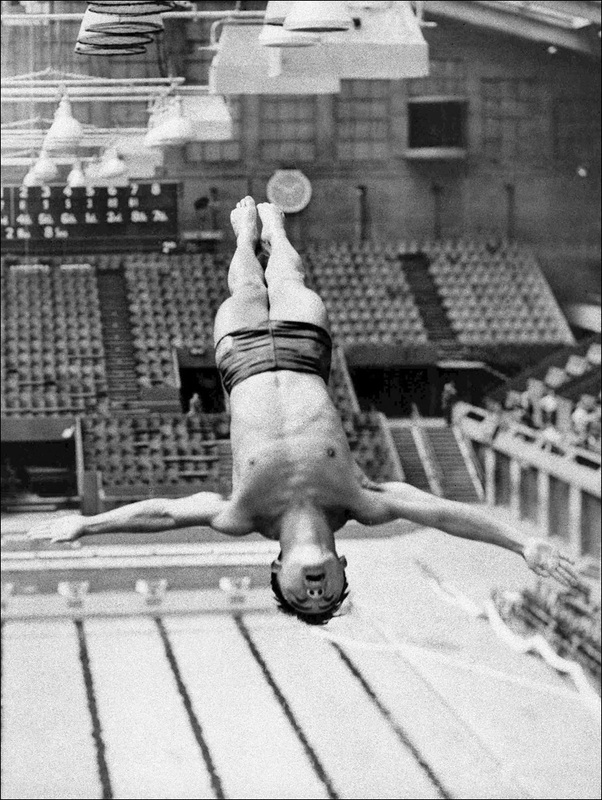 Lee won a gold medal in 10-meter platform diving and a bronze in 3-meter springboard diving at the 1948 Olympics in London, and a gold in platform diving at the 1952 Olympics in Helsinki, Finland, becoming the first male diver to win back-to-back gold medals in two different Olympics -- and at age 32, the oldest to win an Olympic diving title. He was named to the U.S. Olympic Hall of Fame in 1990. Sammy Lee at the 1948 Olympic Games in London. He also won three national diving championships as a collegian in the 1940s and was named America's outstanding amateur athlete of 1953 by the Amateur Athletic Union. 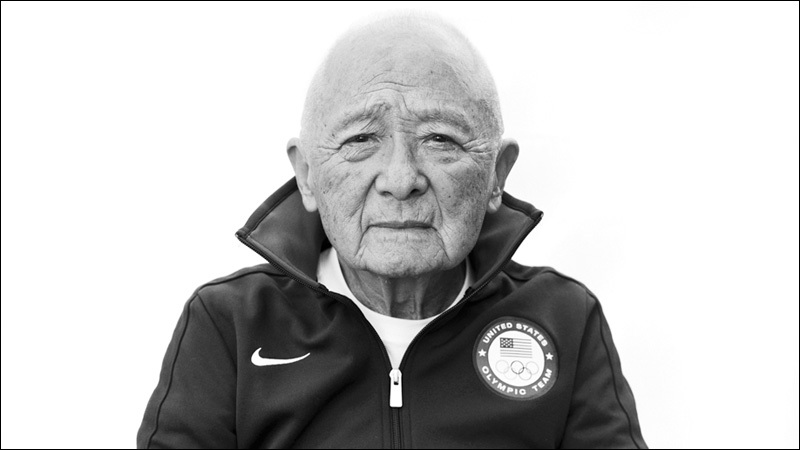 Lee was also a successful physician, served in the U.S. Army in the Korean War, and coached several Olympic divers. Born in 1920 in Fresno to Korean immigrant parents, and raised in Los Angeles, Lee faced discrimination throughout his life and career. He learned to dive at a public pool in Pasadena -- but only on Wednesdays, the so-called "International Day," when people of color were allowed to use the facilities, the day before it was drained and refilled for the white kids who came every other day of the week. Without a swimming pool to practice regularly, Lee's coach dug a pit in his backyard and filled it with sand. Lee practiced by jumping off a diving board installed over the pit. How badass is that? Even as a two-time Olympian, he was not immune to racial discrimination at home. When he was discharged from the Army in 1955, he and his wife Rosalind tried to buy a house in Garden Grove, California, but real estate agents had been told not to sell to nonwhites. The ensuing media coverage over the incident sparked a national scandal and community outrage. The Lees were eventually able to buy their house. Dr. Lee and his wife Rosalind in 1952. In Los Angeles, Lee has a square named after him at Olympic Boulevard and Normandie Avenue in Koreatown. At the University of California, where Lee attended medical school, a diving tower is named after him. In 2013, the Los Angeles Unified School District named the Dr. Sammy Lee Medical and Health Sciences Magnet Elementary School on Council Street in his honor. Dr. Lee's impressive list of accomplishments, awards and honors is even more impressive considering the obstacles he had to overcome to achieve them. It's a testament to an extraordinary life and work ethic. Rest in peace, Dr. Lee.